Most conditions on the respiratory disease list are caused in part by smoking or can be made worse by smoking. There aren't any COPD cures, but your life expectancy with COPD can be boosted if you quit the habit. Quitting smoking is essential to reducing effects of COPD. Nicotine is an addictive substance that acts on regions of the brain that produce pleasurable effects, and it produces these effects very quickly. Many smokers come to depend on smoking to reliably produce these effects. However, because nicotine levels don’t stay elevated in the blood for very long, the effects are short-lived, and more cigarettes are needed to achieve them. COPD treatment guidelines urge smokers to quit, and with good reason: It can make a big difference when it comes to helping you avoid COPD complications. But many smokers, when they try to quit, report withdrawal symptoms such as depression, insomnia, irritability, frustration, anger, anxiety, difficulty concentrating, restlessness, decreased heart rate, and increased appetite or weight gain. These are relieved with smoking, making it especially difficult to quit even though it can help ease COPD signs and symptoms. The physiologic addiction to nicotine is only part of the story: There also is a large psychological and behavioral component. Smoking becomes a habit, and as such, smokers often associate smoking with certain activities or moods. For example, some people smoke a cigarette after a meal or with a drink, when they feel stressed, or to perk themselves up when they feel down. Smokers also come to associate the pleasurable effects of smoking with the ritual of smoking. They may enjoy just holding a cigarette, the act of lighting it, or the smell and taste of the smoke. Because smoking is associated with physiological, behavioral, and psychological factors, all three must be addressed when attempting to quit. 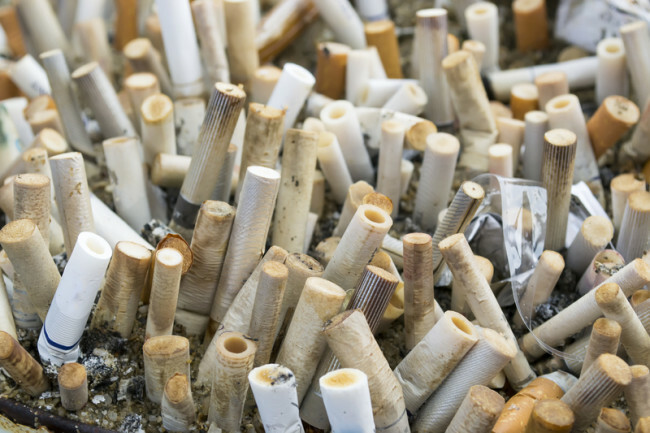 Remove all cigarettes and ashtrays from your home, car, and place of work. Tell your family and friends, and ask for their support. Use some form of nicotine replacement (patch, gum, or lozenge). Talk to your doctor about medications that may help you. Call 1-800-QUIT NOW (784-8669) to find the quit line in your state. You can also access the service online at https://smokefree.gov/talk-to-an-expert. Find counseling (individual, group, or telephone) that you are comfortable with. If you don’t succeed the first time, try again. Enlisting the support of family and friends is essential. Some form of counseling—either an individual or group counseling program—is advised, and Internet-based chat rooms can also be a helpful source of support. Some smokers have been helped to quit with acupuncture or hypnosis. For some people age 65 and older, Medicare Part B will cover smoking cessation counseling. The coverage is limited to those who smoke and have a disease or adverse health effects linked to tobacco use. Two smoking cessation attempts are allowed every year; for each attempt, Medicare will pay for up to four counseling sessions. Breaking the smoking habit to increase life expectancy with COPD will most likely require coming up with new problem-solving and stress-reducing techniques to replace smoking. For example, it can be helpful to identify situations or activities that increase your risk for smoking, and discuss new types of coping skills with a counselor or fellow smokers who are quitting. Also try to minimize time spent with smokers, to reduce temptation. None of the drugs on the COPD medications list will help you quit smoking—but other drugs can relieve withdrawal symptoms. Many of these products are nicotine replacement therapies. These are available in skin patches, gums, lozenges, inhalers, and a nasal spray. The patch, gum, and lozenges can be obtained without a prescription. Nicotine gum is not chewed like regular gum—in order for the nicotine to be absorbed, the gum must be chewed a few times, and then placed and held between the cheek and gum. Nicotine patches are designed to disrupt the “crave and reward” cycle of smoking cigarettes. 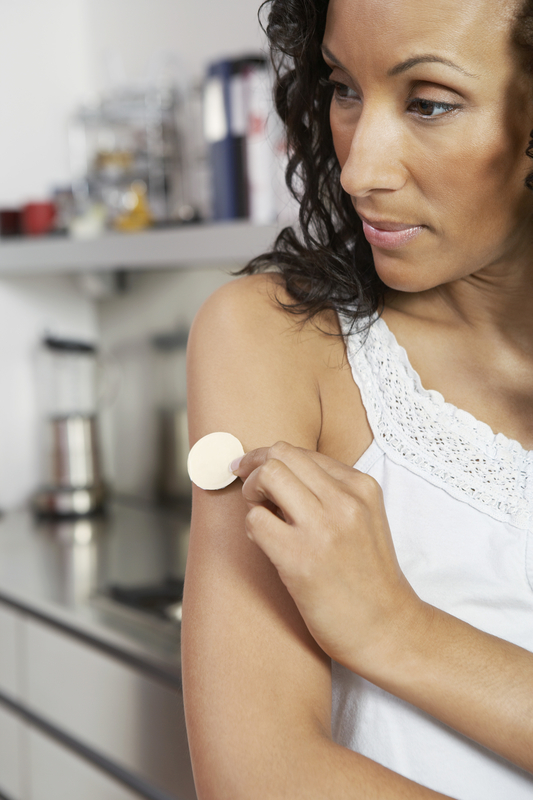 The nicotine patch maintains a steady blood level of nicotine, which avoids the ups and downs of nicotine levels during smoking, and disrupts the “crave and reward” cycle. A step-down program is usually recommended when using the nicotine patch. This program starts with a higher dose (21 mg/day), which is reduced to a moderate dose (14 mg/day), and finally a low dose (7 mg/day). E-cigarettes contain nicotine, and some smokers switch to these vapor-producing devices to help them quit tobacco cigarettes. While the effectiveness of nicotine replacement therapies such as the gum and patch are established; e-cigarettes are still being studied as an aid to quitting. One recent study found that smokers who used e-cigarettes were actually less likely to quit smoking than those who never used them. Another drug that is sometimes used for smoking cessation is bupropion (Zyban), which requires a doctor’s prescription. Zyban has been shown to help eliminate withdrawal symptoms, but it appears that the drug works best when used in conjunction with one of the nicotine replacement therapies. Varenicline (Chantix) is another drug available by prescription only. This drug works by binding to some of the nicotinic receptors, which blocks nicotine from binding to these receptors. This results in a reduction in the craving for nicotine, and decreases the pleasurable effects of smoking. Studies have shown varenicline to be generally effective at helping people to quit smoking; however, some people who take the drug experience severe changes in mood and behavior. The manufacturer advises stopping the drug and contacting a healthcare provider immediately if agitation, depressed mood, changes in behavior, or suicidal thoughts or behavior occur. Some people who use varenicline have a decreased tolerance to alcohol, and get drunk more easily—therefore, people who use the drug are advised to decrease the amount of alcohol they consume. Within two to three months of your last cigarette, your lung function improves and your risk for heart attack decreases. You can definitely increase life expectancy with COPD if you quit smoking. But that isn’t all. Within 20 minutes of your last cigarette, for example, your heart rate drops, while the carbon monoxide level in your blood drops to normal after about 12 hours. By two to three months after your last cigarette, your lung function begins to improve, and your heart attack risk begins to fall. Within one to two years, the risk for heart disease decreases. The risk for developing cancer also declines with the number of years of smoking cessation. alcohol, anxiety, appetite, brain, cancer, chronic obstructive pulmonary disease, copd, copd complications, copd medications, copd medications list, copd signs, copd signs and symptoms, copd treatment, copd treatment guidelines, depressed, depression, depression insomnia, health, heart attack, heart attack risk, heart disease, increased appetite, insomnia 2, mood, nasal spray, nicotine, nicotine gum, nicotine patch, obstructive pulmonary disease, pulmonary disease, quit smoking, report, skin, smoking, smoking cigarettes, stress, suicidal thoughts, tobacco, weight gain. Im Simone Bever i was diagnosed of Pulmonary Fibrosis for 4 years, i have tried several doctors with different types of medications with no help, i was browsing the net and i came across Standard Herbs Home i decided to give a try and i purchased their herbal remedy and i used it for 3 weeks and i am totally cure of Pulmonary fibrosis. Thanks to you Standard Herbs Home. I was diagnosed with Chronic obstructive pulmonary disease (COPD) and put on Prednisolone on december 29th, 2017. I followed it 100% for a month and could not help me the way am expecting. Finally i began to panic and called my doctor, he told me to get used to it. He said I would be on Prednisolone my whole life. At that point my life messed up and began to do a lot of research. 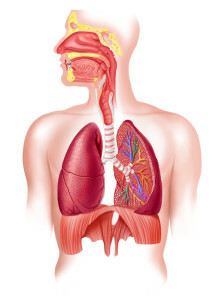 Then I found Seth COPD story (google ” How I reversed my copd with herbal remedies” ) I read that article from end to end because everything Seth was saying made absolute sense. I started using the COPD herbal remedy february this year, product of BEST HEALTH HERBAL CENTRE. There was no diet involved, no side effect which was extremely marvelous. After the first 4 weeks of usage, my shortness of breath, chest tightness and cough disappeared completely. My COPD was totally reversed after 6 weeks of usage. Now am living COPD FREE. Please folks get off drugs and help yourself by trying natural methods.